The Mandalorian is the first live-action Star Wars show to be announced and it's the only one filmed thus far. Here's some trivia that we've learned about it. The series is written by Iron Man veteran Jon Favreau. 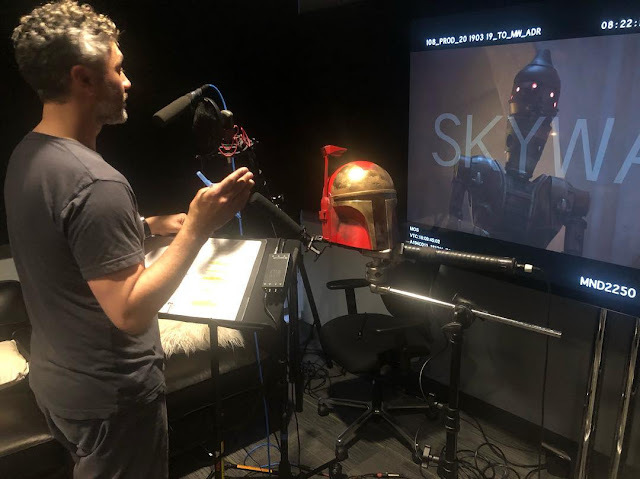 His prior connection to the Star Wars universe was voicing the character Pre Vizsla on Star Wars: The Clone Wars. Bryce Dallas Howard directed an episode. Her father, Ron Howard directed Solo: A Star Wars Story. 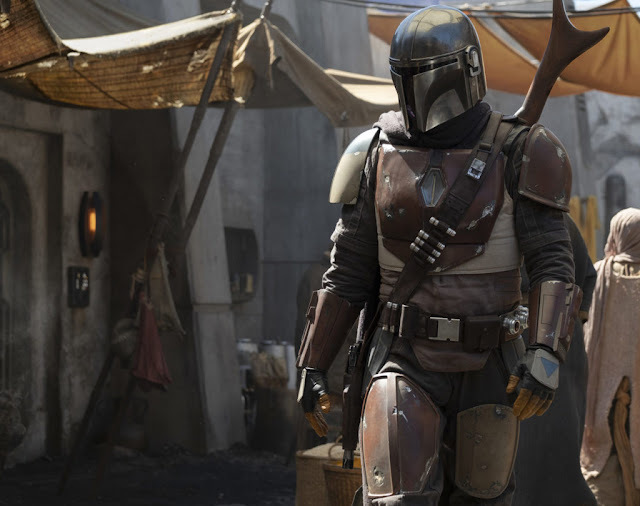 The show was apparently set into production after Josh Trank's Boba Fett movie was quietly shelved. Yes, that was a Kowakian monkey-lizard spied roasting on a spit. 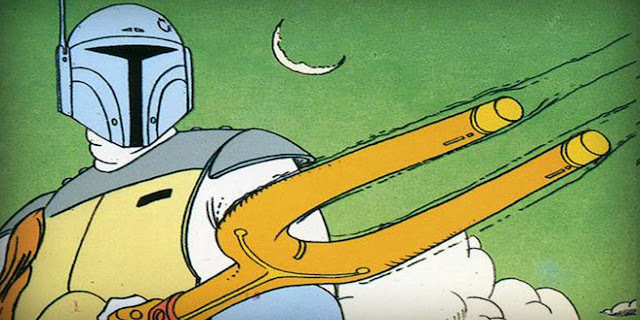 The leadcharacter's ship is known as the Razorcrest and is a practical effect. Lead actor Pedro Pascal was the thirteenth actor from Game of Thrones to appear in the Star Wars franchise. The score is composed by Ludwig Göransson, who amongst many recent popular projects, worked with Donald Glover on his Childish Gambino identity. 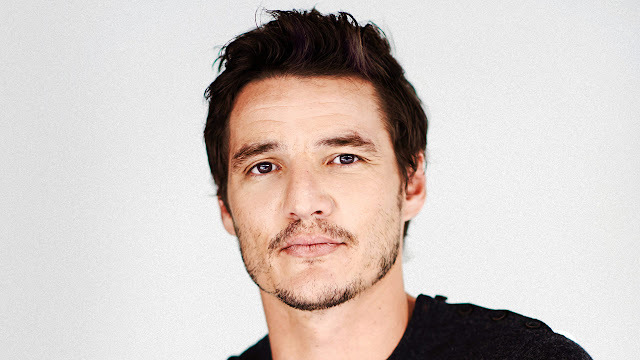 He recently won an Oscar for his work on Black Panther. Nick Nolte auditioned for the original role of Han Solo 40 years ago. 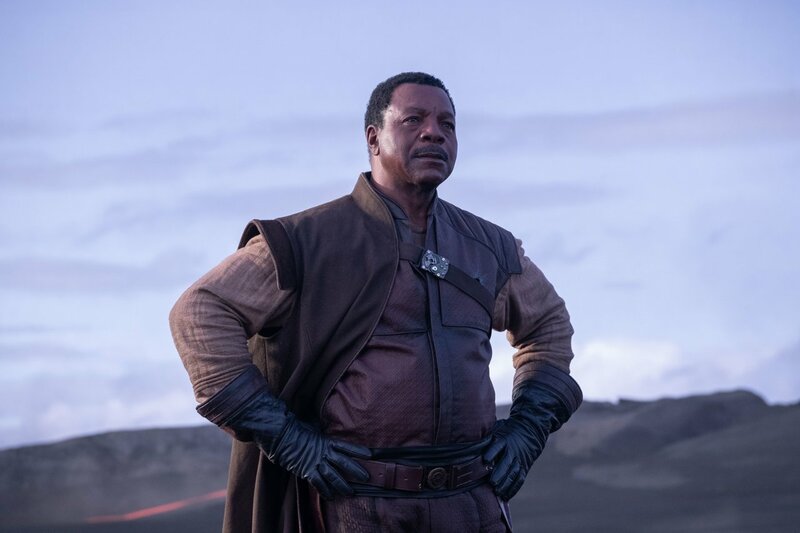 Carl Weathers plays Greef Cargam the head of a guild of bounty hunters. Produce Jon Favreau gave Pascal Akira Kurosawa films to watch before filming began. Pascal was inspired by Clint Eastwood's Man with No Name character from the Sergio Leone spaghetti western films. This is no surprise given, Boba Fett has the same inspiration. This will be a living document as there is plenty more to be learned about this show! Here's some quotes from the Mandalorian.